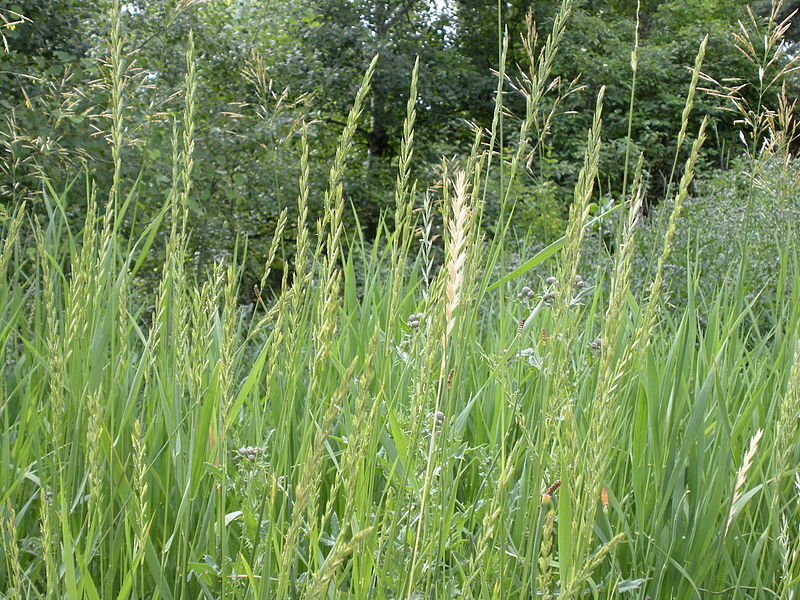 Elymus repens (Elytrigia r.). Used by permission from Maine Natural Areas Program.www.maine.gov. (Accessed 4/2014). 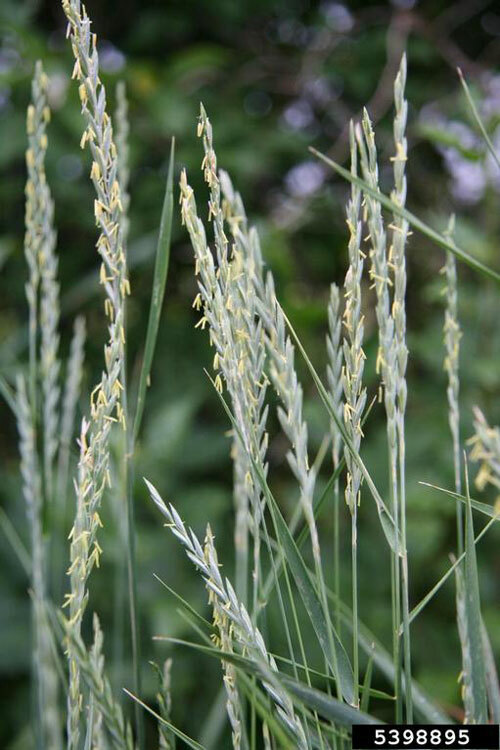 Elymus repens is a perennial C3 grass (Ziska and Teasdale 2000; Reich et al. 2003) to 1.2 m tall, from rhizomes to 1 m long, whitish, stems green to pale gray-green, hollow, with 3-5 nodes; sheaths with overlapping membranous margins, top of sheath with small, horn or tooth-shaped appendages; ligules very small, membranous, to 0.1 cm long, sometimes ciliate. Leaves alternate 6-20 cm long, 0.3-1.0 cm wide, tip finely pointed, blade lax, flat, slightly hairy above, sometimes waxy-gray-green (glaucous), veins fine, numerous. spikelets alternating along opposite sides of axis, hardly, or not overlapping, borne with broader side of each spikelet toward the rachis, green to blue-green. Flower spikelets compressed, 1-2 cm long with 3-8 florets, glumes to 1.2 cm long, about half as long as spikelet, tip usually with a short awn, lemma to 1.2 cm, keeled, palea, 2-keeled on back, keel margins minutely toothed (Hitchcock 1950); inflorescence a stiff spike, 5-30 cm long, flattened; blooming June-July. Wind pollinated, self-sterile. Buried seed viable for about four years. Habitat: More common along roadsides, disturbed, open areas, edges, dry fill, a lawn grass. Tolerant of fire, intolerant of drought, salt, shade (USDA, NRCS 2010). Notes: A “cool season” grass. Pulls large amounts of nutrient from soil, tolerates soil pH 4.5-8, tolerant of salt concentrations to 95mg/100 g soil. Attacked by the insects: Brachyrhinus ligustici (Coleoptera); Rhytophage destructor (Diptera); Macrosiphum granarium, Toxoptera granarium (Homoptera); Cephus cinctus (Hymenoptera); and Melanoplus sp. (Orthoptera). Quack grass is parasitized by many fungi including five species of Puccinia (Basidiomycotina) (Werner and Rioux 1977).